There are many people throughout the UK that much prefer country living to the hustle and bustle of the city streets. While they may have a passion to own some farmland to give them the country living atmosphere, they don’t necessarily have a desire to farm the land. Some will buy farmland if they are passionate about owning horses for pleasure or for perhaps being involved in the horse racing circuit or show events. What they do discover is that many of the original barns are just way too big to suit their needs. One innovative couple found the perfect solution for making use of the large old existing barn that was located on their newly purchased property in Bude in Cornwall UK. The beginning of their restoration journey began by taking the Red Barn that was already converted into a two-bedroom dwelling and updated this. Then, with some restoration to some of the other buildings on the land, they were able to turn this into a type of retreat that would provide accommodation for tourists and travellers who want a quaint and quiet place to stay. 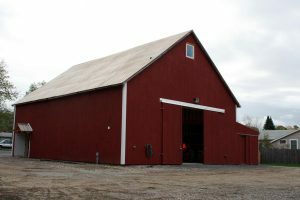 Just this one business venture alone, using the insight to create a barn restoration, is a classic example of what can be done with barns that are no longer required for the use of housing horses and livestock. For those who love nature and natural living being able to use a restored barn for their accommodation adds extra charm to their away from home experiences. Throughout the UK there are many similar stories of how several of the barns have been restored and now provide wonderful accommodation for tourists and travellers. These buildings maintain their history yet have a new look about them that appears to be most appealing to many. These barns often create a rustic feel with a contemporary twist.